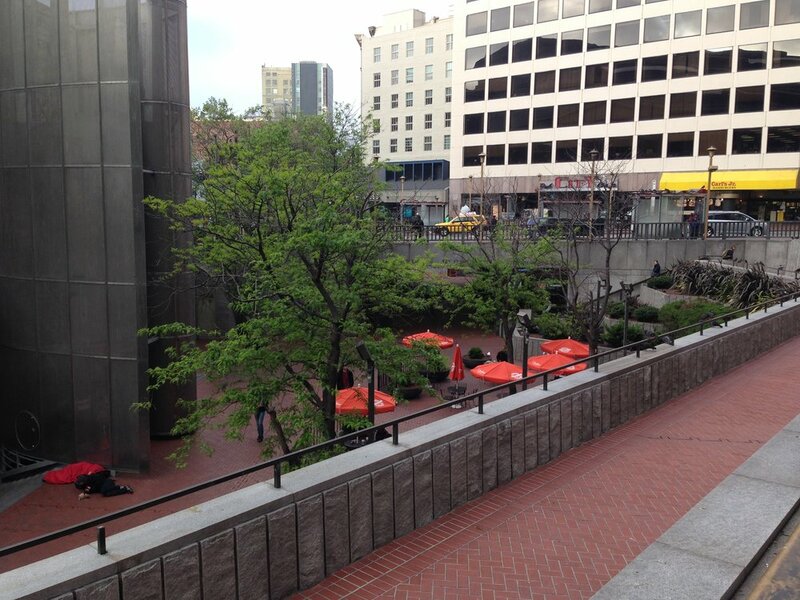 • Hallidie Plaza has the potential to become one of the most vibrant and exciting public spaces in the city. It is the gateway to the city for over 7 million visitors a year who arrive from the airport via BART. Yet, in its current state, it does not portray San Francisco as a city that values its public spaces. • A group of community stakeholders are working together to develop a vision for Hallidie Plaza to transform it from a neglected, underutilized space to an active, exciting public plaza. • Part of the Foundation’s ongoing work is to develop interim solutions until the City’s long term solutions for the Plaza can be put in place. These options include activating the plaza with small-scale, mobile food and retail vendors, as well as seating solutions on the mezzanine level and larger than life public art pieces. • Conducted a series of community meetings to understand what stakeholders would like to see done at Hallidie Plaza.